I am looking for the right look for my business. The card will include the logo. 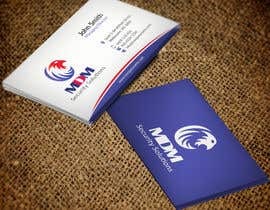 The company name is "MDM Security Solutions" and we provide manned guarding, mobile patrols and key holding. We are a young company. 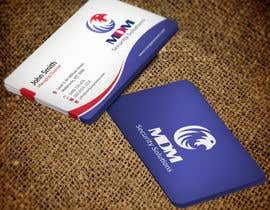 We want to get the logo printed with raised printing. Please see my new entry #91. I up lode 3 image. Please see my all entry.